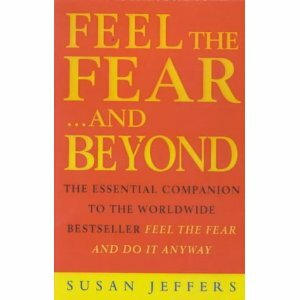 Feel the Fear …and Beyond is Susan’s follow up book to her highly successful and widely read Feel the Fear. It’s published by Vermillion and currently costs less than £6. Money well spent! I would recommend that you read her first book before picking up this one though. The first book establishes the principles and the second gives you some great exercises to try out to reinforce your learning. ” Thankfully none of us have to stand alone in this big wide world. Your friends can be an important part of your support system and it is one area of most people’s lives that needs cultivation. But what kind of friends do I mean? There then follows a practical exercise with space for you to list friends that fall into those categories. I must have had that in my head when I wrote my ‘Radiators & Drains‘ post. Susan Jeffer’s aim is to remove any fear we may have about embracing life and living it to the full. She encourages you to make positive change in your life and gives you a useful toolbox to hold your hand while you do! It’s definitely worth having this book on your shelf! If you’ve read either of the ‘Feel the Fear’ books I’d love to hear what you think of them. Certainly helpful post. I like it. And it worked for me. Thanks. Thanks Lynne. It’s been around for a while but lots of people only know her first one. Thanks for dropping by.